The San Pedro Riparian National Conservation Area will be one location targeted by the second annual Border BioBlitz. This weekend, researchers and the public on both sides of the border are welcome to participate in the second annual Border BioBlitz. It is a two-day citizen science effort to record as many plant and animal species as possible at 15 sites along the border from the Pacific Ocean to the Gulf of Mexico. “There continues to be a misconception of the physical landscape of the borderlands,” said Benjamin Wilder, director and co-founder of Next Generation of Sonoran Desert Researchers, or N-Gen, which organized the event. “I mean, what is in this swath of land from east to west where the proposed border wall will go is portrayed as nothing. That couldn’t be further from the truth, but there’s been data missing,” he said. To address this data gap, the public is encouraged to join or create teams that will record the plants and animals found within a chosen location using the iNaturalist phone app. While the event is scheduled for Saturday and Sunday, participants can contribute to the database for months, said Wilder, director of the Desert Laboratory on Tumamoc Hill. iNaturalist allows participants to take photos of plants and animals with a location tag. If the citizen scientist can’t name the specimen, then experts can log on to help with identification. The phone app is available in Spanish and English. Last year’s event lasted 24 hours. More than 100 people participated. This year, N-Gen has expanded the program; Wilder expects more than 200 people to join the blitz. The nearest team, led by the Arizona-Sonora Desert Museum, will comb the land in Sycamore Canyon in the Coronado National Forest on Sunday. 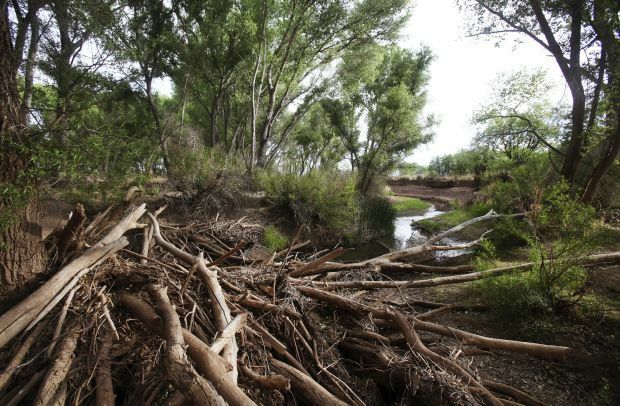 Two other teams, both led by the Bisbee Science Lab, will be in central Cochise County and Murray Springs in the San Pedro Riparian National Conservation Area. Participants may also create their own teams. There will also be many hands-on activities for visitors.